Welcome to Capital Exhibits. We provide Alaska (AK) Graphic Design Services and 3D modeling rendering since 1994. We’ve been a leader among professional graphic design firms, and we’d love to assist your Juneau, Anchorage, Fairbanks, Sitka or Ketchikan, Alaska, company with trade show displays and branding design. 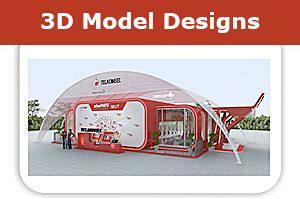 We can provide graphic design and 3d modeling rending designs AK next day if needed. We have staff of graphic designers can provide all types designs from products, house, jewelry, watches, toys, electronics and more. You understand that trade show booth concepts are vital to a vendor’s popularity, and we want to ensure yours makes the right impression. Our banner design artists, 3d modeling rendering designs, flier design portfolio and tee shirt capabilities – among so many other services – mean that your presence at the event will not go unnoticed. Our business graphic design team knows how to put together a display marketing package that perfectly represents you without overstepping your budget. Because Capital Exhibits is able to do so much of the work in-house, our graphic design quotes and rates are better than many others you’ll find. We’ve got a solid educational background in both graphic art design services and photography. We use our expertise to, as our motto says, Build Your Best Image. From competitive logo design prices to supporting an amazing graphic art site for your online presence, we’re ready with the solutions you need. In addition to bringing you quality at an affordable price and next-day graphic design and 3D modeling design AK. we’re a graphic designer that will save you time. We are dedicated to keeping a fast turnaround time and getting your display items to you within a matter of days. Banner stands, pop up displays, kits and many other products can be delivered within one to 14 days, with most of those reaching you in less than a week. Please understand that, while we focus on speed and cost, we don’t offer cheap graphic design. Your company will receive exhibition and fair graphic design displays that are custom made and very durable, not to mention highly attractive to your target market. How do we do it? First, we recognize that the best graphic design idea for one company might not be the answer for another. We take the time to determine what will best represent your brand. Next, we offer options. 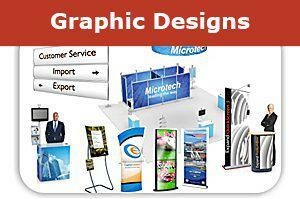 Choose a small tabletop display, or ask about our large displays that can reach upwards of 50 feet. Further, our products are available in a range of styles including banners, wall displays, pop ups, outdoor, electronic, hybrids and so much more. Accessories like tablecloths, cases, lights and counters can also enhance your display. Don’t trust the visualization of your brand to just anyone. Capital design has the resources and experience to provide you with the finest trade show graphic design and 3D rending on the market. If you’ve been looking for a graphic artist who’s upfront about cost and guaranteed to produce quality, look no further than us. We look forward to working with your Alaska business!